Business cards that give you the competitive edge! Your business card is your most important document. No other marketing tool is more powerful. Press a business card into the hands of each prospective client, even if they take nothing else, the first time you meet. 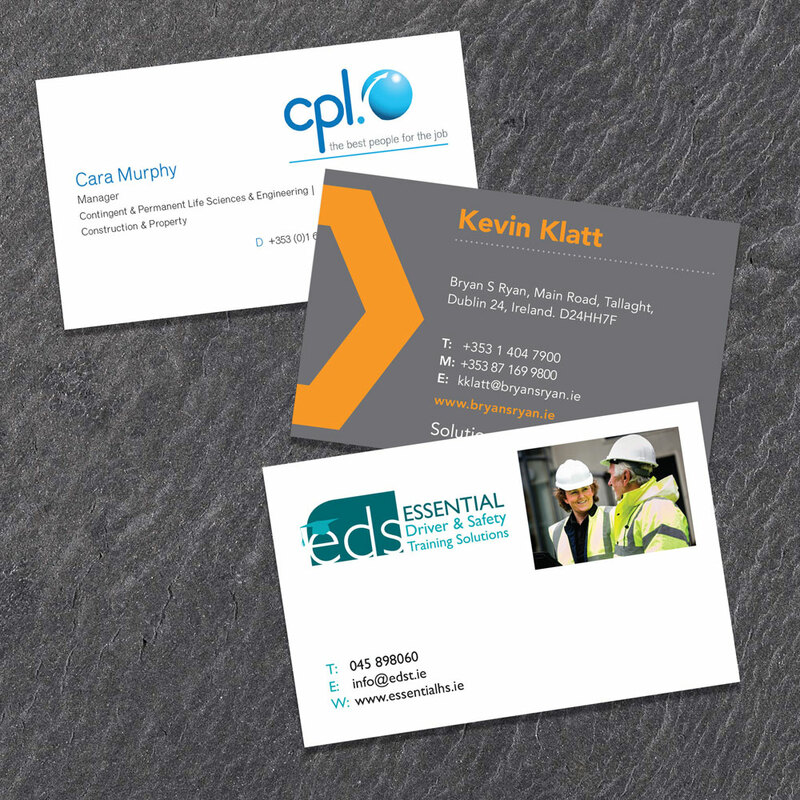 Sitting snugly in their wallet or purse, your business card is the front door to your shop floor. Our graphic designers will help you to create huge impact in a tiny space. We’ll help you choose the size, the card quality and the design features that make your card appealing and create a feeling of well-deserved confidence. A shoddy business card is a false economy, and you’ll be surprised by how affordable our top-class product actually is.